Lori Pasewaldt is the owner/operator of Olympic, Inc., and Olympic Transportation. Olympic started in August of 2011 and is based in Huntersville, North Carolina. 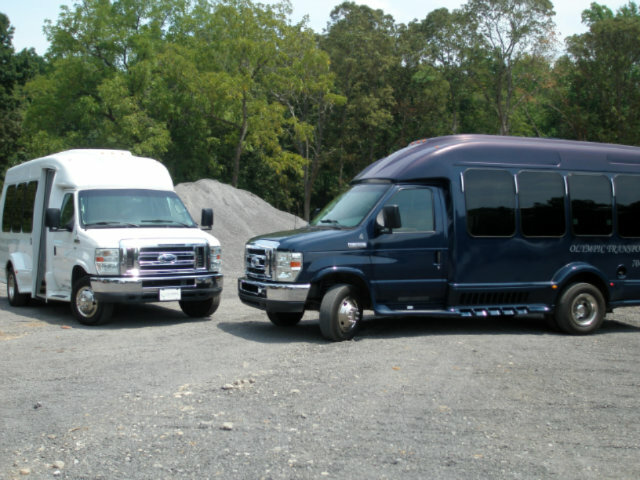 Olympic currently owns and operates a fleet of vehicles which are used to provide families with an alternative transportation choice to local area charter schools. As a mother of children who attended charter schools, Lori fully understands and indeed sympathizes with the current plight of local families in managing the daily challenge of getting their children to and from school. Olympic offers a way to alleviate some of the school transportation burden and allow your family to better utilize and enjoy the time not spent in car pool lines and traffic on a daily basis. Olympic also offers families piece of mind that their children are being transported safely in fleet maintained and NC DOT regulated/inspected vehicles. We further exhibit our focus on safety by mandating all of our CDL and non-CDL drivers posses a valid medical certificate and be participants in Olympic's federally regulated random drug and alcohol testing program. To round out our commitment to safety, Olympic drivers are obligated to attend quarterly training sessions which focus on an array of student transportation topics. Olympic takes great pride in the level of professionalism exhibited by our uniformed drivers on a daily basis. Looking forward to 2016, Olympic will continue it's steady growth in the charter school arena, in addition to expansion of our field trip operations.